Scag Power Equipment - Simply the Best | Pace, Inc. Since 1983, Scag Power Equipment has manufactured “Simply the Best” commercial riding, stand-on, and walk-behind lawn mowers money can buy. Scag’s innovation and attention to quality are known and respected throughout the industry. If you’re looking for the highest quality, best-built equipment proudly made in the USA – look no further! 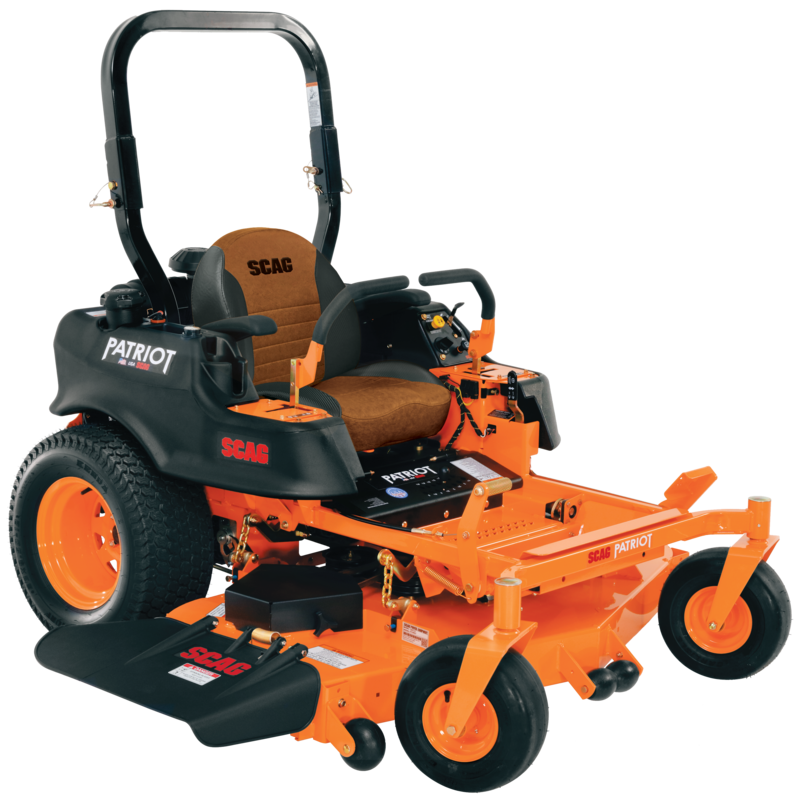 Mowers and accessories are designed to be user-friendly, with an emphasis on quality, performance, ease of maintenance, profitability, and long life. 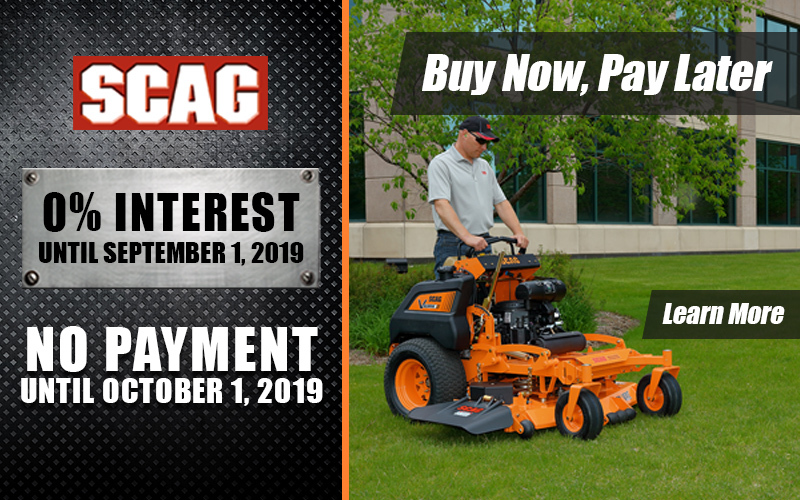 Mow Now, Pay Later - No Interest until 9/1/19 with no payments until 10/1/19! 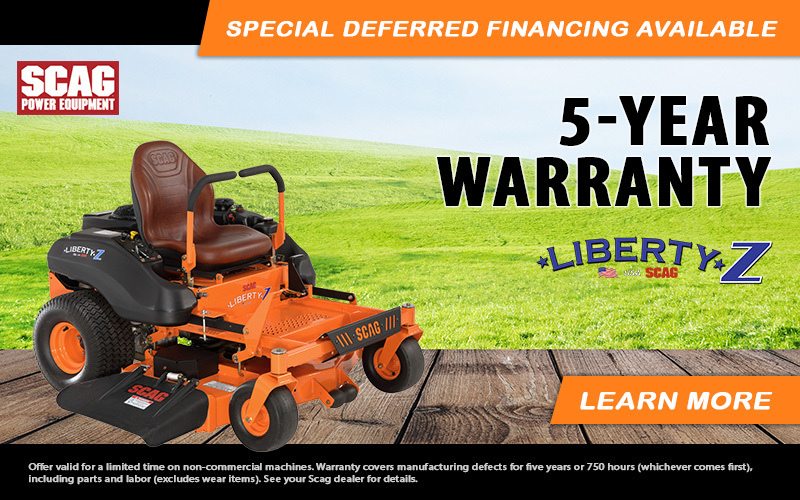 Financing offer valid 2/1/19-4/30/19 through Sheffield Financial. Subject to credit approval. Minimum payments required, see participating Scag dealer for details. 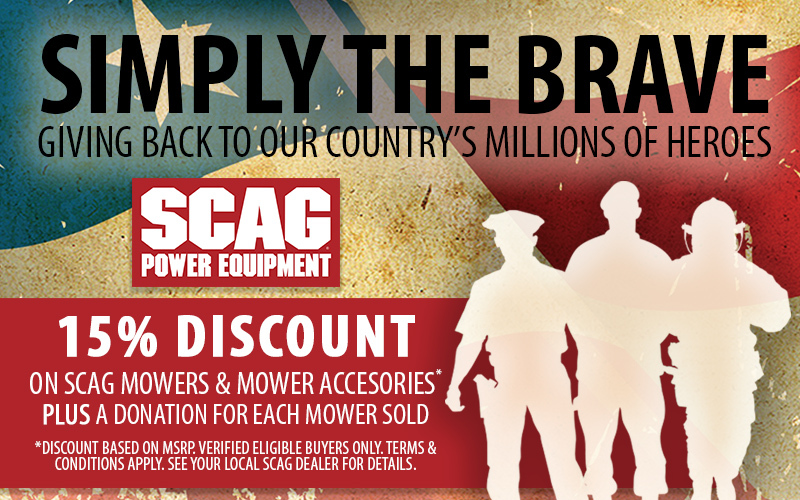 Offer valid 3/1/19-4/15/19 on the purchase of a new Scag V-Ride II mower. $974 rebate based on promo retail price for model SVRII-61V-29CV-EFI. See participating Scag dealer for details. Proof of service must be presented at the time of purchase, discount cannot be combined with any other offer. Not valid on past purchases, subject to dealer participattion. Michigan, Minnesota, Ohio, West Virginia, and Wisconsin. 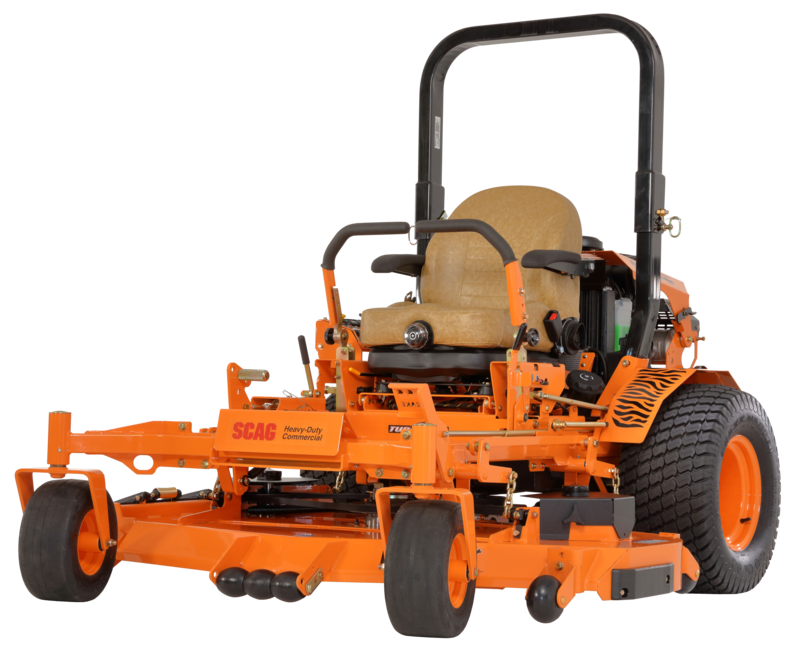 Scag Zero Turn Lawn Mowers include a complete line of highly productive and reliable lawn mowers for both the landscape professional and homeowner. When nothing less than the best will do, look no further than Scag. Scag’s design, testing, and manufacturing processes are second to none, and it shows in the final product. 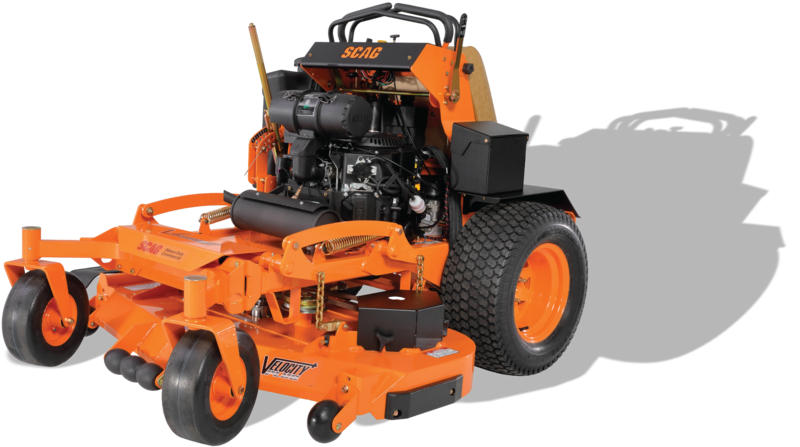 Scag’s unique Velocity Plus™ Cutter Deck delivers unmatched power, precision, and performance. The type professionals and discerning homeowner demand! Delivering high-velocity discharge, this revolutionary deck offers a beautifully manicured cut, even at faster ground speeds. Scag Power Equipment offers a complete line of productive and reliable walk-behind mowers for the landscape professional. It’s still easy to operate, still ready to conquer any terrain, and still built to last. But the new V-Ride II offers exceptional results, greater stability, and unmatched comfort, leaving no doubt: It’s a whole new ballgame. 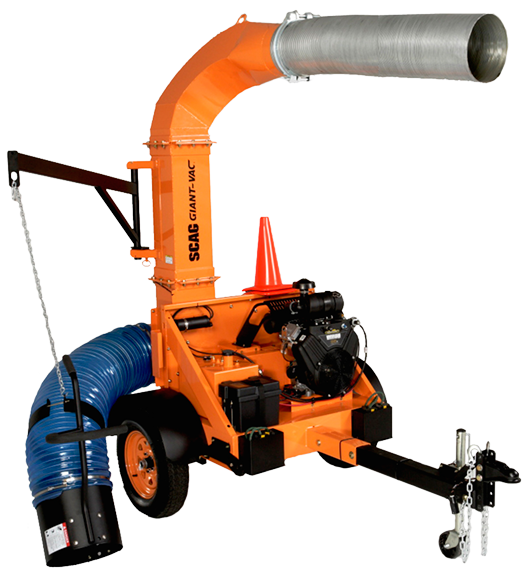 Scag Power Equipment’s line of Giant-Vac Blowers are high performance, top quality, professional grade, perfect for the landscape professional. Tough jobs demand tough products, and Scag Power Equipment Truck Loaders are ready to meet the challenge. Utilizing all-welded steel construction and commercial grade quality helps maintain a time-proven reputation for rugged, dependable products. Scag’s skid mount truck loaders feature removable skid mounts that can be utilized to mount the truck loader, or can be removed. Operators also have the option of mounting their truck loader on an optional swing-away hitch-mount accessory. For larger projects, Scag offers tow behind truck loaders. Tow behind truck loaders come equipped with full trailer light packages, including illuminated license plate bracket. Find one of our Authorized Scag Dealers near you – for everything from ride on mowers to blowers, accessories, parts, and service! Interested in learning more about Scag? Let us know, and we’ll send you information, or have one of our Scag experts contact you!